Welcome back to the Installation 01 weekly update. Last week we took a bit of a break to make room for Blocktober and the beautiful pictures such a holiday brought with it. Cavity is looking mighty fine if I do say so myself. This week is your standard old update but with some juicy new content. Here's that content now. Games require teams of people. We're slowly learning what kinds of developers we lack, so now we have some more niche openings to fill. Send in those applications or tell your friends. Or do both, your BFF might be better than you and we'll want them instead. Please be aware that we will not even consider applicants without a portfolio. If you're one or more of these things, take a look the more detailed positions available on the "Join Us" page. We are also almost always looking for talented concept artists, animators, 3D modellers, and programmers. We're also looking for an FX artist but we don't have a proper description written up yet. If you like making fancy effects we want you. Apply here. Do you like handheld, lightweight machine guns? Then I have the weapon for you. The new SMG was both modelled and textured by Amit, also lovingly known as adumbass, so he's here to talk a little bit more about it. 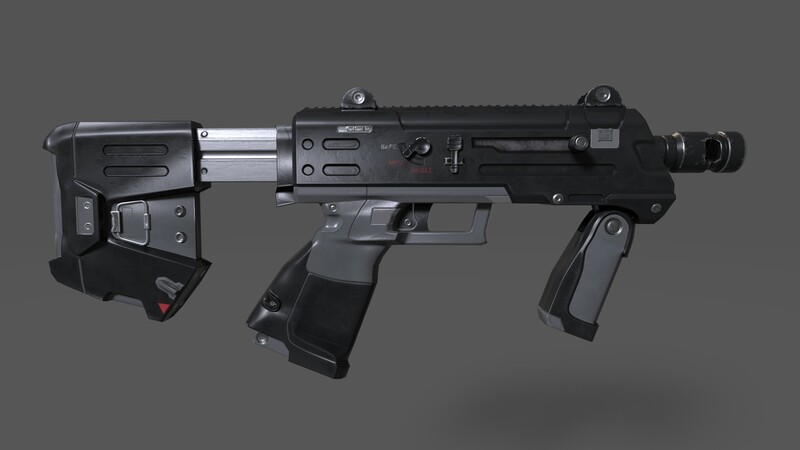 Amit: "This is Installation 01's take on the SMG, modeled and textured by me. 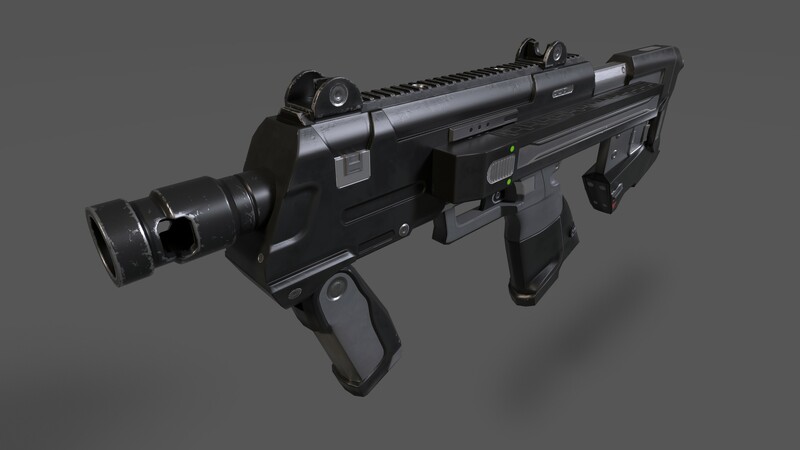 For the task of modeling the SMG I looked at Halo 2 Anniversary and a small amount of Halo 5. My main influence was Halo 2 Anniversary's multiplayer SMG. My workflow was the standard high poly to low poly workflow, with the modeling done in 3DSMax. Texturing was done in Substance Painter. I'm not as experienced in texturing but Substance was easy to pickup, plus I did not have to make materials since we have standard ones for Installation 01." Installation 01 has an incredible soundtrack composed by Jafet Meza and his pumped up Kyxe. I am someone who uses tracks much more than the next guy, and can safely say these are some of the best I've ever heard. This week we actually have two of them. That's one more than other weeks. Double, one might say. First up is Slipspace Ruptures, a song that might sound familiar if you've ever watched our first vidoc for CE3. Greenhorns, also known as Mourning, is your bonus track. You may have also heard this one before, but this is the new-and-improved™ version. It's actually mastered this time. Discord went down for a bit today. Their Twitter account may give some excuse like they're just "resetting" but we know the truth. 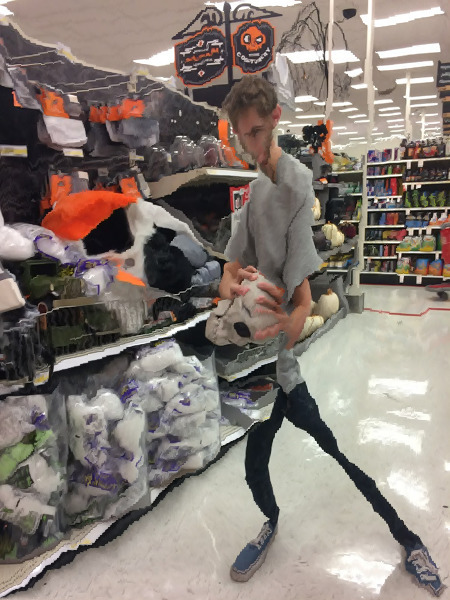 Bean has transformed into a spooky generic Halloween monster - The String Bean. Discord's data centers were no match for his newfound primal strength. Nobody is safe. Keep your wits about you. That's all for this week. You should send some questions to [email protected]. I'm bringing back "Letters to the Webmaster" which seems to have disappeared around 2007. Fortunately I happen to be both a train and a webmaster. I'm aware this is opening my email up to the dangers of the internet, and my mom told me never to talk to strangers. But sacrifices must be made. Send me your letters. Make them good.